Superbowl Halftime Show..Who Ya Got? It was announced this weekend that Bruno Mars will perform at halftime of this years Superbowl. I think it goes without saying that this is a great pick. Mr. Mars is talented, handsome, and his voice literally makes us want to cry. He also happened to pass the most important hurdle of all: the SNL hosting test. The ONLY thing that stops Freddie Mercury and the rest of Queen from headlining every major event in America is the fact the Freddie died in 1991. Voice like an angel? Check. Dance moves that could make you tremble? Check. The body of a god and mustache to match? Check and check. Here is how this halftime show would go. Lights go out. 10 seconds go by and a single beam of light is pointed to the stage. Highlighted in it is Freddy Mercury sitting at a piano. 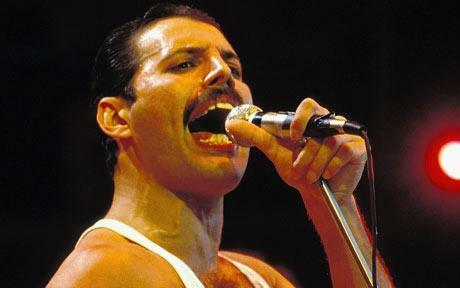 Bohemian Rhapsody starts the performance with Freddie killing it at piano. The show then moves into ‘I want to Break Free’ and wraps with ‘Somebody to Love’. A simple 3 song set that will have the audience begging for more. In my eyes, George Michael is the singer of our generation. Faith. Freedom. Father Figure. It seems as if every classic song that starts with an F has been sung by Mr. Michael. Did he possibly blow an undercover cop in a public restroom? Yes. But as a democratic nation I’d hope we could look past this act and let his flex those golden pipes. Back to the halftime show. The stage is empty, but you hear George’s voice in the background softly singing the word “faith”. It gets louder and louder until he finally hits the stage, accompanied by a slew of instruments. Next up is freedom, followed by closing the performance with Careless Whisper. Game. George Michael. Match. Posted on September 9, 2013, in Average Blog Posts, MonsterBlog Wednesday and tagged freddie, mars, mercury, music, show, superbowl halftime show. Bookmark the permalink. 3 Comments. Hopefully not Miley Cyrus…fingers crossed.